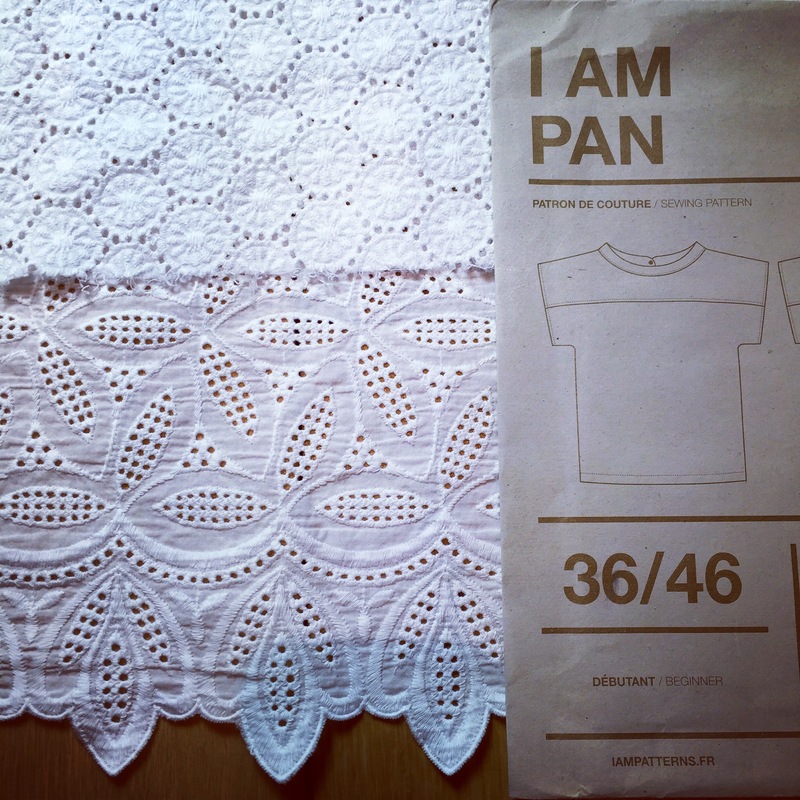 This is the Pan top from French company I Am Patterns. I’ve also made the Cherie-Cherie in a heavy striped jersey and a cocoon version of the Apollon sweatshirt dress. 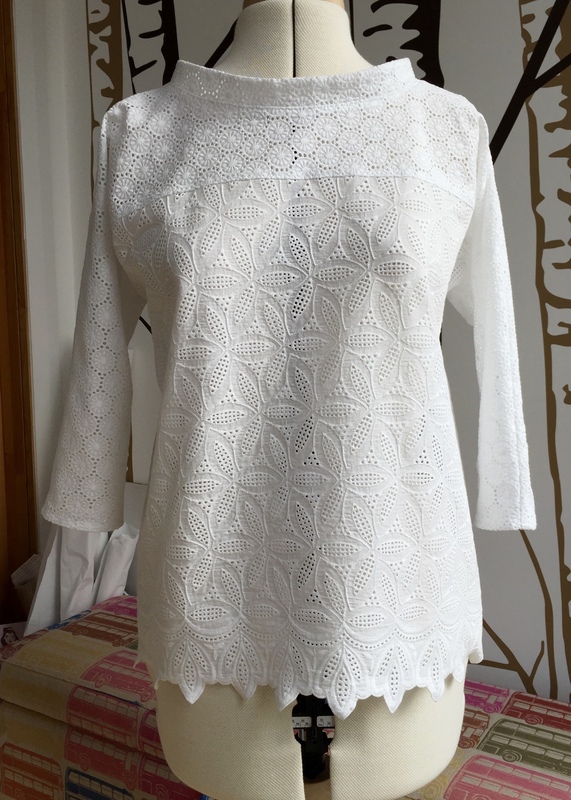 I’ve been looking for a top pattern for ages to use with some beautiful broderie anglaise I bought in Rome a year ago- fabric as a souvenir! It came from this incredible fabric shop called Fratelli Bassetti Tessuti filled with rooms and rooms of fabric bolts stacked up to the ceiling- there was an entire room of the most amazing shirting. 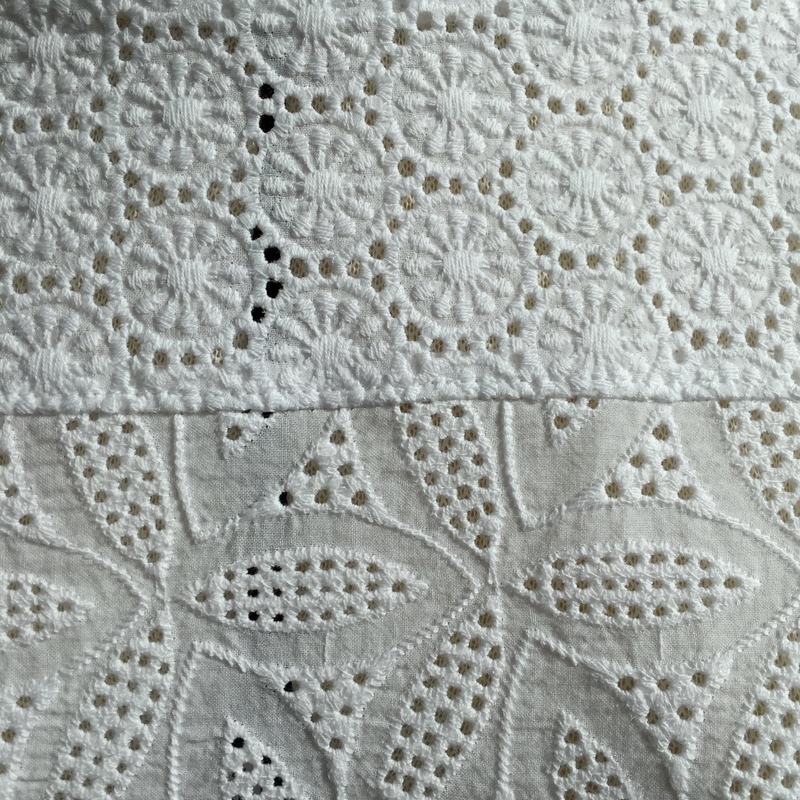 In the end I was quite restrained and just bought two lengths of broderie anglaise. When I got them home and looked through my patterns nothing quite fitted the fabric though. I wanted more than just a t-shirt (like the Grainline Scout) but nothing to blousy or shirty. So the fabric was stashed for a year until I found the Pan. I did start with a toile because it has quite a boxy shape so I wanted to check it would suit me. I also decided to add 3/4 length sleeves to it. 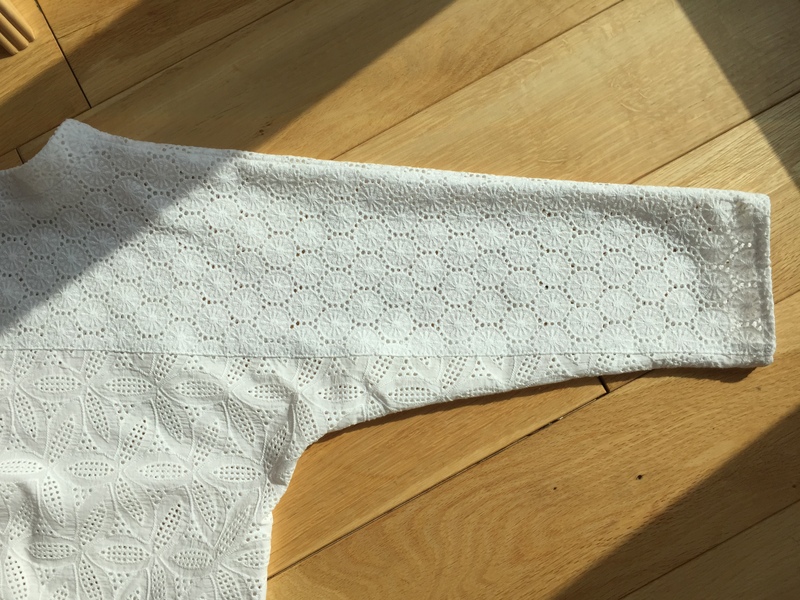 Toile 1 was cut to my size (38 at the bust and waist graded out to a 40 at the hips) according to the instructions and I lengthened one sleeve to see how it looked because kimono sleeves can sometimes look a bit funny when longer. 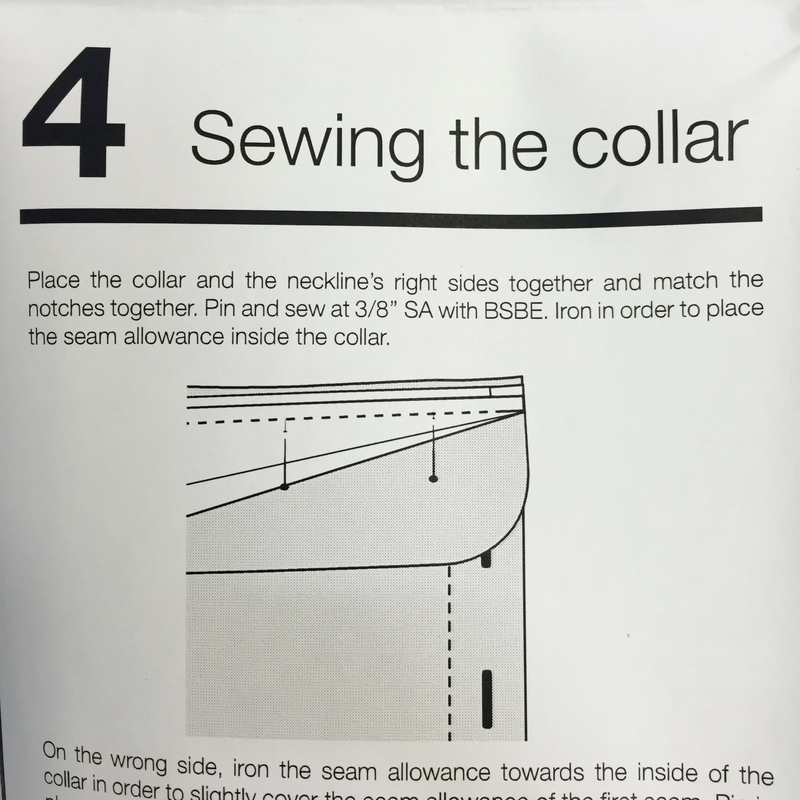 There are no finished garment measurements to guage the fit by either. The whole thing looked way too big and I felt the collar was too large on me. The longer sleeve worked but again it was too big. Added 9″ to the sleeve length and redrew the shoulder line and underarm curve so the sleeve narrowed to 6 and 1/4″ at the end. I taped the yoke and body pattern pieces together to do this and then extended the yoke/body separation line out to the end of the new sleeve before cutting them apart again to keep everything right. You can see how much I dropped the shoulder in comparison to the original here. This made a huge difference- definitely worth the effort! Adding the length to the sleeves also meant more fabric was needed. I cut a full set of pattern pieces which did help a bit. 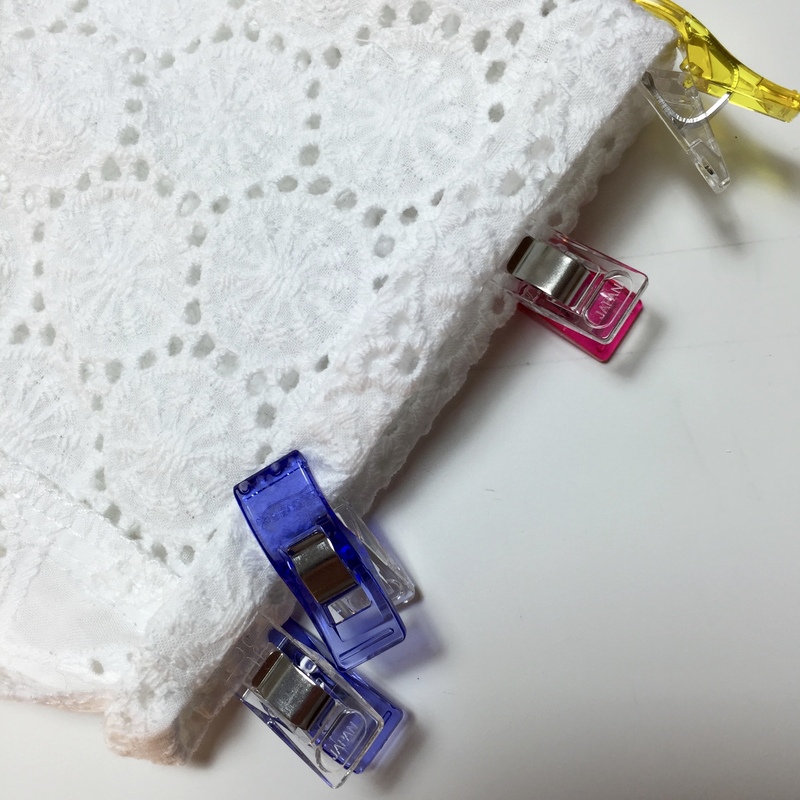 The pattern itself is an easy sew. The instructions (in both French and English) aren’t as detailed as some others but it’s such a simple pattern that anyone with a bit of experience could easily manage it. I was slightly confused by the abbreviation BSBE- hadn’t come across that one before. Some of my lovely Instagram buddies suggested back-stitch before end which was pretty much it. 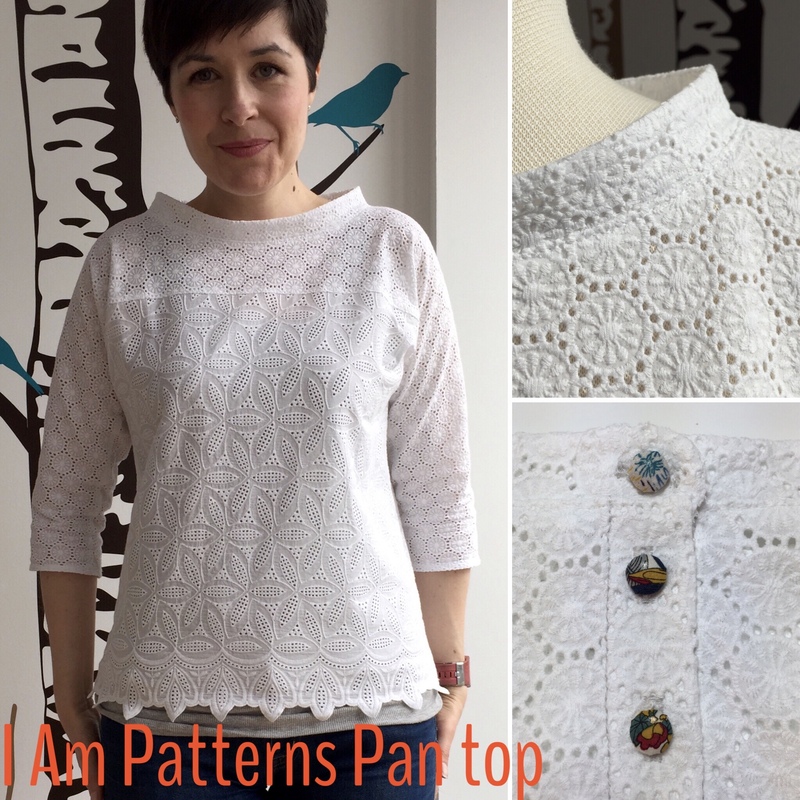 IamPatterns kindly confirmed it was ‘back stitch beginning and end‘ (really should have thought of that). I think it’s a direct translation from the French and we don’t have an equivalent in English. 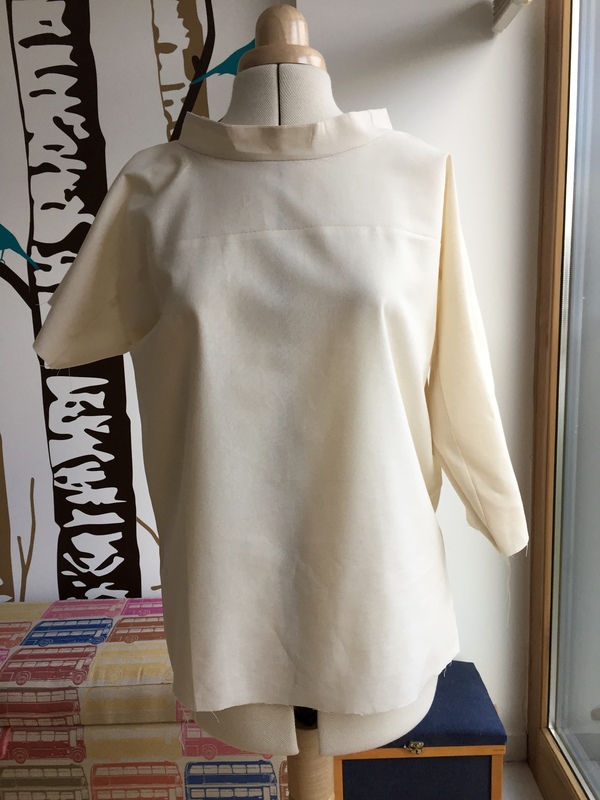 I did play about with topstitching thread but because the material is quite bumpy it didn’t lie evenly so I only used it (in pale grey) to stitch the placket and the same colour in sew-all thread for the button holes. 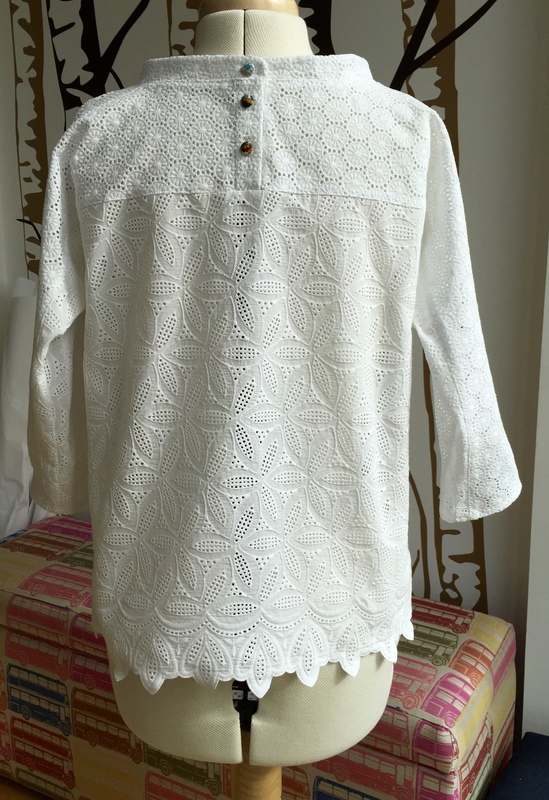 The rest of the topstitching was just done in white and the edges finished with the overlocker using a narrow 3-thread stitch (tension dials 5555, df 1.5). I also clipped the underarm curves to get them to lie flat. The two fabrics came together really well. I debated about adding cuffs in the main body fabric but once I’d tried it on I opted for the simplicity of a double turned hem instead . 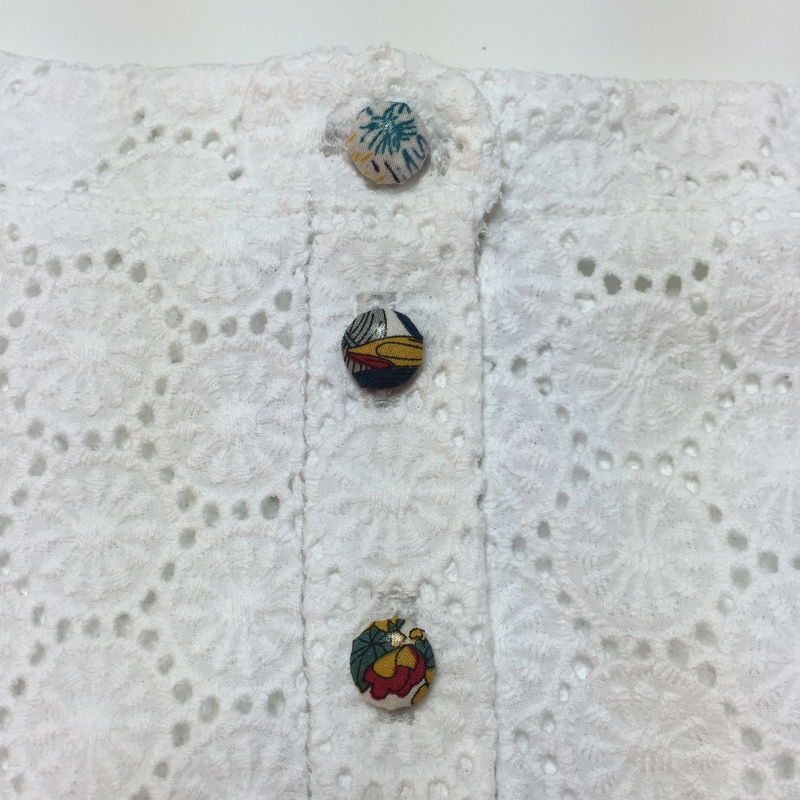 The buttons are covered in various scraps of Liberty tana lawn that I had lying about- got to love buttons that don’t match. 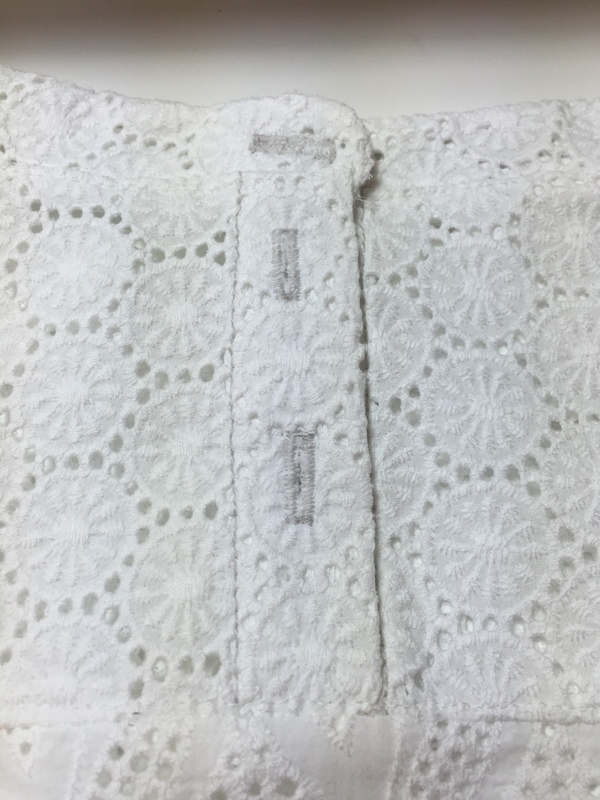 I really like the placket design and, even in the smaller size, it goes over my head without having to unbutton so you could skip the buttonholes and just sew buttons (or use snaps like Lauren at Guthrie and Ghani did on her fab version) straight on. 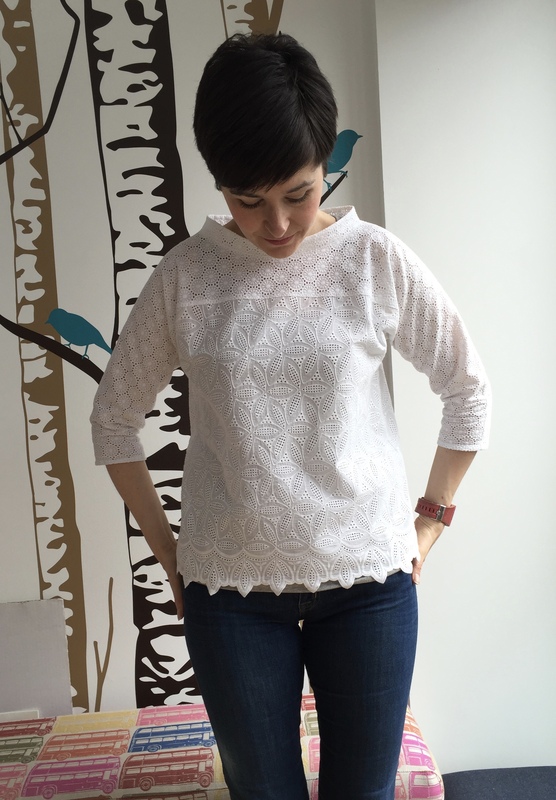 That’s it- I really LOVE this top- the shape, length, collar and back placket detail. 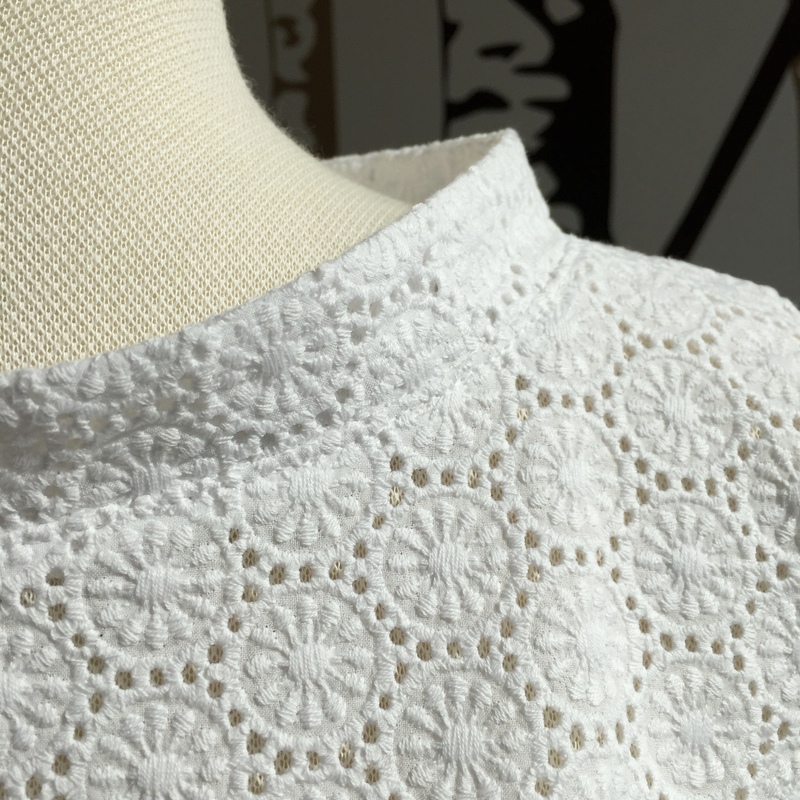 It is the perfect match for the broderie anglaise and completely worth the year long wait. I’ve made a second version of this top now too. In a drapey, chiffon-weight rayon. It’s really different but equally lovely. Hi I’m about to make this top and didn’t really like he short cap like sleeves – you’ve inspired me! 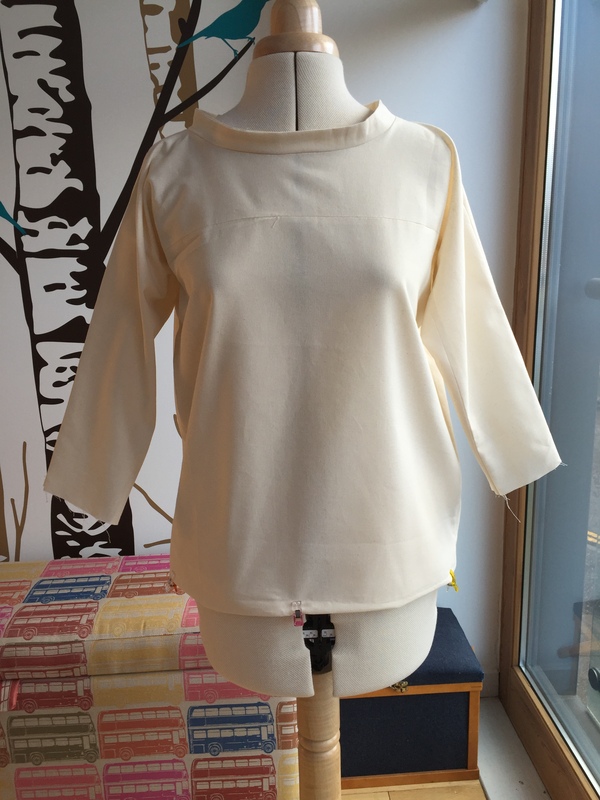 Thanks so much for sharing the pix of how you extended the sleeves, very generous of you :). Hope mine looks as good as yours! actually one more comment, really a question, are you able to show a comparison between the original sleeve/bodice and your changes? I can’t work out if you also sloped the shoulder down a bit more as it’s very square on the original. Thanks Alison. 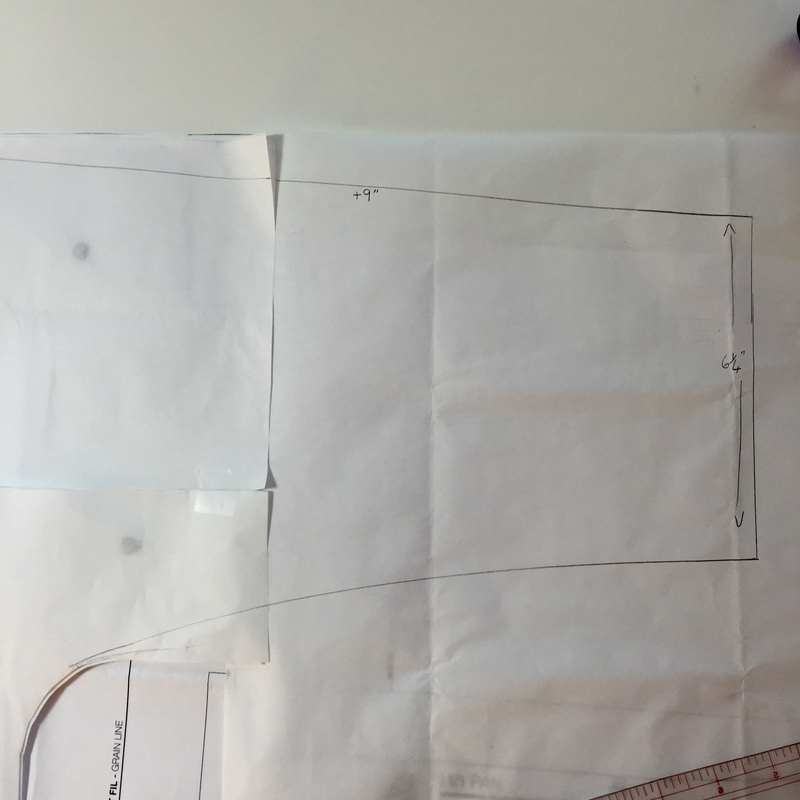 I extended the sleeve out as you showed, however if you go straight out in line with the pattern’s shoulder, extending the bodice does not result in both materials being used all the way to the end of the sleeve, as yours does. That’s why i wondered if you had sloped the top line of the sleeve down. That is tricky to visualise I know, but it may jog a memory :). Thanks so much for taking the time to reply – i love your version so was keen to have a go at the longer sleeve. THANK YOU!! That’s perfect. I really appreciate it, and am looking forward to giving your design a go :).